Thanks to your generous support, Fitsum and her brother no longer have to share twin mattress on the concrete floor with their parents. Fitsum and her brother now have a mattress, pillow, set of sheet and blanket all of their own. And judging by the smiles on their faces, I think its safe to say they couldn’t be more excited. Fitsum has also begun receiving sponsorship benefits and the daily vitamin, grain support, cows milk and HIV medication have helped to increase her immunity and allowed her to regain her strength. Fitsum has put on some weight (which is a good thing!) and was also taken into the doctor to have her leg examined and an x-ray taken. From this appointment, the doctor said that Fitsum will need surgery at a hospital in the Capital – Addis Ababa – to correct her leg. We are awaiting a date for her initial appointment where we will get further details and cost information. Check back to see how Fitsum is doing and to see the rest of her furniture! Thank you to everyone who donated towards this need, whether it be through prayer support, financial support or hands on mission support. We couldn’t change lives and bring hope to the hopeless without you. Although she has experienced much sadness in her life, Marta is a fun-loving 14 year old with a rich sense of imagination. Marta’s father is deceased and her mother left her to live with her extended family: two aunts, two uncles, and her grandparents. Marta’s grandmother suffers from typhoid and is unable to work therefore the income the family gets is based on the communal efforts of her aunts and uncles. They do the best they can to contribute towards the house and things that Marta needs but they have their own expenses they have to pay as well. Marta tries to help out by washing the dishes and cleaning up around the house. Marta is in 5th grade at the BCI Academy where she works hard to keep her science classes up to par as she dreams of being a doctor. School has been a struggle for her as she appears to have ADD but she continues to work at it. When she isn’t working hard in school, she likes to sit back and write poetry about Ethiopia. 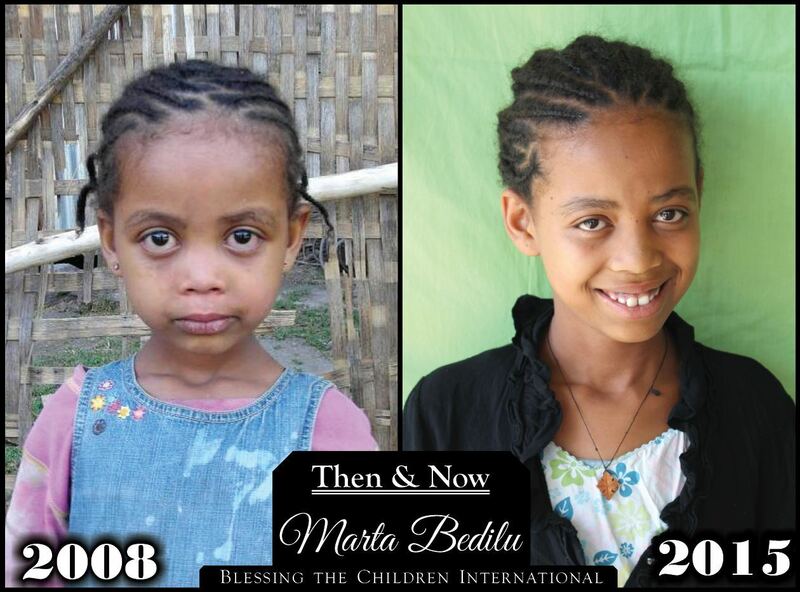 Marta was one of the first children to enter the BCI Program seven years ago and still needs two more sponsors of $30/month or one sponsor of $60/month. Won’t you be the one to express love and support to this young lady? Or maybe you know someone – perhaps a friend, family member or coworker – who can help this fun loving girl?